Invest in the Canadian market with Interactive Brokers. With access to market data 24 hours a day, 6 days a week, Interactive Brokers services 120 markets, 31 countries, and 23 currencies using one account login. The United States and Canada both share commonalities — including a booming economy and stock market. The Toronto Stock Exchange (the largest in Canada) is the 12th largest stock market in the world. It sees an average of 39.7 billion shares bought and sold every single day. Through an abundance of natural gas and energy resources, an agricultural market that dominates in the production of wheat and grains and a newly thriving legal cannabis market, more and more investors are looking north for future profits. If you aren’t a native Canadian, you may still buy and sell stocks on the Toronto Stock Exchange (TSX). However, you’ll first need to understand the differences between trading stocks in the United States and Canada, as well as select a Canadian or international brokerage firm to help execute trades on your behalf. Before you sign up for an account with a Canadian bank or brokerage firm, make sure you read our comprehensive guide to getting started in international trading. When you’re reading stock quotes on Canadian exchanges, most assets will have prices listed in CAD instead of the USD that’s used on the NYSE. Though some trading software programs will allow you to change the viewable currencies displayed, online listings will typically default to listing Canadian securities in CAD. Keep a live currency conversion calculator (like the one available for free at XE.com) to help you enhance your trading and quickly convert prices back to your native currency. Though the Canadian stock market may expand every day, it still pales in comparison to the market that most American traders are used to. The total market capitalization of the Toronto Stock Exchange is about $2.28 trillion — compare that number to $30.2 trillion in average daily market capitalization on the NYSE alone. This means that shares of stock are bought and sold much less frequently on the Canadian stock market when compared to the American market. If you’re planning on day trading through a Canadian brokerage firm, keep this lower level of liquidity in mind when formulating your trading strategy. In the United States, it’s pretty uncommon to see a brokerage account charge fees for inactivity or maintenance unless the brokerage firm is aimed only at large-scale professional traders. In Canada, the vast majority of brokerages charge account maintenance fees (sometimes referred to as “service fees” or “annual fees”) unless you make a high number of trades or have a very high-value account. The best online brokerages institute a low account minimum to avoid annual fees, but these minimums may be as high as $5,000 CAD. Don’t be surprised when you see that paying an annual fee is basically unavoidable for most people and consider annual fees when you’re making your final brokerage decision. In the United States, most brokerages offer a host of equity types to maximize commissions and bring in more high-profile traders. It’s common for brokerage firms that specialize in stock offering to also give traders the option to trade options, futures contracts, mutual funds, ETFs and even sometimes cryptocurrencies and currencies. In Canada, offerings will vary significantly depending on the broker, so make sure your brokerage offers every type of asset you want to trade before you open an account or make a deposit. In the United States, we’re used to dealing with multiple account types, from IRAs to 401(k)s to SEP IRAs. When you open an account with a Canadian brokerage firm, you’ll usually be limited to two types of accounts: taxable accounts and Registered Retirement Savings Plans (RRSPs). If you are under the age of 69 and you regularly pay income tax to the Canadian government, you probably qualify to open an RRSP, which is most similar in tax function to a traditional IRA in the United States. If you aren’t a Canadian citizen, immigrant or permanent alien, you probably only qualify to open a standard taxable account. Like most brokerage firms in the United States, brokers in Canada often offer free trading and educational tools and suites to help new traders learn the ropes and older traders enhance their trades. Though offerings will vary depending on the broker and its client, the best brokers offer free tools to help traders get ahead of the game. If you only want to trade Canadian securities listed on the TSX, every stock broker that operates online will be able to execute the trades you’re looking for. However, if you’d also like to trade on other international markets or you’re interested in getting started in forex, options or cryptocurrency trading, you’ll need to double-check and make sure that your broker also offers these services. Most people don’t enjoy racking up hundreds of dollars in international calling fees because of an error on their Canadian brokerage account. Look for an international broker that offers chat and email customer service options in addition to standard calling choices to limit money lost in phone bills. Prosecuting fraud and account mismanagement are very difficult to do across national borders. Look for brokers that offer enhanced security features (like two-factor authentication and reCAPTCHA requirements) to ensure that you are the only one who is able to access and use your account. Interactive Brokers isn’t a Canadian-based online broker. Instead, it offers a U.S.-based trading suite with international functionality and capabilities. With an eye towards professional investors, Interactive Brokers’ fees are exceptionally low. You can expect to pay around $0.008 CAD per share for trades of less than 300,000 shares with a minimum commission of just $1 CAD. Interactive Brokers also offers additional discounts for high-volume traders and fees decrease as the volume of the trade increases. Though Interactive Brokers does charge an account maintenance fee for less-active traders that ranges from $10 to $20 per month, this is on the lower end for brokers offering TSX trades. Though Interactive Brokers is aimed at professional traders, its education offerings are equally useful to seasoned veterans as they are to traders who have yet to place their first buy order. From its complementary “Trader’s Academy” to live videos and webinars, Interactive Brokers offers a complete library of outstanding trading resources. Combine $0 account minimums, low fees and stellar trading resources for Interactive Brokers as our top choice for Canadian trading. To help you get started, RBC Direct Investing offers 20 Commission-Free Equity and ETF trades - and a whole year to use them. In the United States, it’s common to see major banks pulling double-duty as both a place to do standard banking as well as investment and trading services — think Bank of America or TD Ameritrade. Canada’s primary banking and investing combo is RBC Direct Investing, which is the investing division of the Royal Bank of Canada. RBC claims that it aims to process all account applications within 24 hours of online submission so you can get online faster. RBC Direct uses a flat-rate commission structure; you’ll pay around $10 CAD per stock trade in addition to a $25 quarterly account maintenance fee. If you’re a Canadian citizen or you pay income tax in Canada, RBC Direct offers a convenient one-stop-shop to handle all of your active investing and retirement saving options. Its website is simple to navigate and does an excellent job of explaining complicated financial topics in a way that even novice investors can easily understand. If you’re not a native Canadian, you’ll appreciate RBC’s dual currency feature, which eliminates the need to transfer USD into CAD before you trade. A solid trading feature for retirement investors and international traders alike, RBC Direct Investing offers reasonable fees and no account minimums. Questrade is a Canadian broker with over 20 years of history in the investing sphere. Questrade is also one of the only brokers serving Canada that doesn’t charge an annual or quarterly account maintenance fee automatically — though you may be subject to a service charge of about $25 CAD if you don’t make at least one trade every quarter or your balance falls below $5,000 CAD. Unfortunately, Questrade’s services and platforms are limited only to current Canadian residents. However, if you are located in Canada, you’ll love Questrade’s $.01 per share trading fees which max out at a total charge of $9.95 CAD for most stocks. If you’re a more experienced trader, you’ll love Questrade’s trading platforms. In addition to Questrade’s standard desktop platform, Questrade also offers a more customizable and advanced IQ Edge platform. Questrade is also one of the few Canadian brokers to offer a full-service mobile trading app complete with charting tools and watchlist options. With upfront pricing, a host of platforms to choose from and access to markets around the world, Questrade is a top online investing option as long as you’re a resident of Canada. TD Direct Investing empowers Canadians to invest for themselves. Today, millions of people have joined and made TD Direct Investing Canada's largest online broker. TD Direct Investing is a web-centric branch of major U.S. financial institution and investment services provider TD Ameritrade. If you’ve ever used TD Ameritrade’s investing services or brokerage in the United States, you probably already know that the financial powerhouse is known for providing its traders with a wealth of education and research tools. TD Direct isn’t far behind its American counterpart, as it offers traders access to cutting-edge trading and charting tools, full-service mobile apps with trading capabilities and continuous news streams and commentaries to help further enhance trading. TD Direct also offers a number of customer service outlets. You can apply for a TD Direct account over the phone or online or if you’re located in Canada, you can even schedule an appointment at your local TD Direct branch for in-person assistance. Though TD’s commissions are a bit higher than most other Canadian offerings at around $10 CAD per trade, more experienced traders may feel that TD’s diverse tools and news network justify the additional cost. Qtrade's award-winning technology makes it easy to pursue your investing goals. Try it out today. 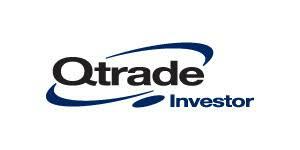 Qtrade is an online brokerage that focuses on providing a dynamic investing experience for Canadians. Qtrade’s website includes a complete suite of education tools for beginning investors to grow your vocabulary and formulate a trading strategy. More advanced traders won’t be wowed by Qtrade’s education resources but new traders will love its straightforward explanations and lessons that cut the technical terms and mumbo-jumbo and break down concepts for the uninitiated, a much-needed breath of fresh air for novice investors. One of Qtrade’s most unique offerings is its “young investor” discount commission rates. If you’re between the ages of 18 and 30 and you’re able to commit to a $50 monthly deposit to your Qtrade account, you’ll enjoy $7.75 CAD commissions for stocks and ETF trades and $0 account minimum balances. You’ll also see your quarterly administrative fee waived, which saves most traders around $100 a year. Other investors will pay $8.75 CAD per trade, though you can save around $2 per trade if you make more than 150 trades per quarter or hold over $500,000 worth of assets in your account. When you combine Qtrade’s discount rates for younger investors with its unique education section, Qtrade should be a top choice if you’re still learning how to invest effectively. It’s impossible to name a single “best” online brokerage for Canadian trading because each of our top five picks has its points of strength and points of weakness. If fees and commissions are on your mind, Interactive Brokers should be your first stop. If you’re searching for a complete suite of advanced trading tools, you’ll fall in love with TD Direct. If you’re young and hungry for information, Qtrade might be right for you. Before you choose a broker, sit down and create a “wish list” of everything that you want in a broker and arrange your priorities by level of importance to you — this will help you pick the perfect match for your individual needs.